Excerpt from Stanbridge's 1848 article found in Hamacher and Frew article below. 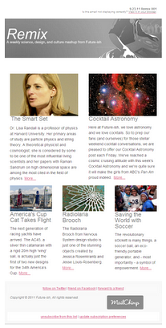 In this week's Cocktail Astronomy we bring culture into our cosmic equation...the culture and traditions of the Boorong aboriginal people of northwestern Victoria, Australia to be exact. In a post on Indian Country Today Media Network, New Echoes of Eta Carinae Explosion Seen by Aborigines 150 Years Ago, we learn that the star that became a very well known present day nebula, Eta (η) Carinae (also known as the Homunculus Nebula), was known and documented by 19th century astronomer William Edward Stanbridge and in the dreamtime and oral traditions of the Boorong people. According to Stanbridges 1858 paper in which he refers to the star using La Caille's 1763 star catalog, the Boorong knew Eta Carinae as Collowgullouric War, a female crow, the wife of War (Canopus). Details on the connection can be found in an article from the November 2010 issue of Journal for Astronomical History & Heritage, An Aboriginal Australian Record of the Great Eruption of Eta Carinae by Duane W. Hamacher and David J. Frew. 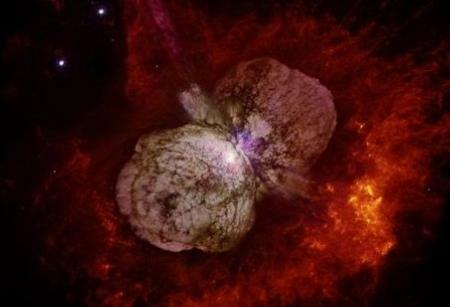 Eta Carinae is getting a lot of attention these days as it could go supernova any day now according to an article in Nature in which researchers are using light echoes to learn more about the 19th cenetury "great explosion" of Eta Carinae. The pending supernova was also covered in Time.